Castlelough is west of Nenagh and 5km from Portroe village. There is a car park, picnic tables, water skiing, fishing and cruises on the River Shannon. 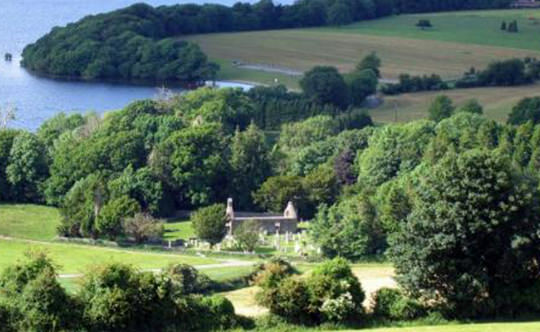 Castleough also has lakeshore walking trails through the conifer and broadleaf plantation.Castlelough is situated in the north west of County Tipperary on the banks of Lough Derg. It is part of Arra forest which includes 12 forest properties namely: Castlelough, Castletown, Townlough, Newtown, Leagane, Kilparteen (scattered Properties), Corbally, Coumbeg, Coumroe, Burgesbeg, Gortlassabrien and Scragg (Adjoining Properties). The total forest area of Arra forest is 808 hectares of primarily conifer species. The principal soil types are podzols, peats and gleys in the upland areas and more mineralised soils at lower elevations near Lough Derg. Castlelough is a designated recreation area in Arra Forest. The property is located on the shores of Lough Derg and enjoys scenic views and forest trails and is regularly used by Coilltes neighbours, locals and the general public. There is a car park, picnic tables, water skiing, fishing and cruises on the River Shannon. The Lough Derg Way is an important walking route which winds through Townlough, Castletown and Castlelough. Coillte’s open forest policy permits pedestrian access only to its forests (all signage must be adhered to).